You wouldn’t think fire and things that fly could go together so well - actually you probably don’t think they should go together at all since, you know, fire hazard. However, they work perfectly together in this smoking hot piece by SESSIONFPV. He’ll navigate around a fire dancer, taking in the magical movement from every angle he can get sometimes from dangerously close proximity. Description: Well this was a challenge... i spend the majority of my flying going as fast as i can. This time i had to work completely out of my comfort zone. 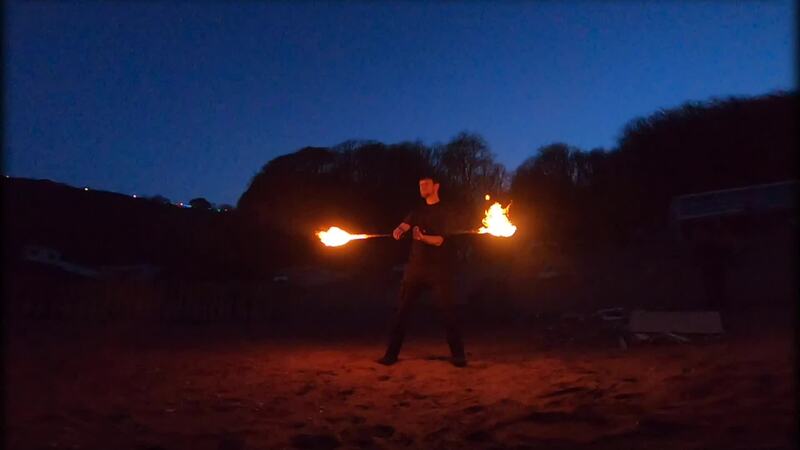 No light, 0 camera tilt, a giant fire, man spinning fire, sand and the sea. i was shaking the whole time. But after all these issues i was able to overcome the shakes and get these awesome shots of Elements of Fire Devon do some practise. i was using my usual 5 inch racing quad setup but with 6 inch arms to hopefully make the quad a bit more stable and not my usual 50 degrees of camera tilt. 0 degrees and still in acre mode. A big thank you to Lee Janes from Elements of Fire Devon for having trust in me to get as close as i could =] A big thank you to my sponsor Droneislife and HQPROPS!! And as usual guys... Thanks for watching and following along on my FPV journey! !